An Interview With A Cappella Group, TWISTED MEASURE on Their Rise to National Fame, Performing Barefoot and More! 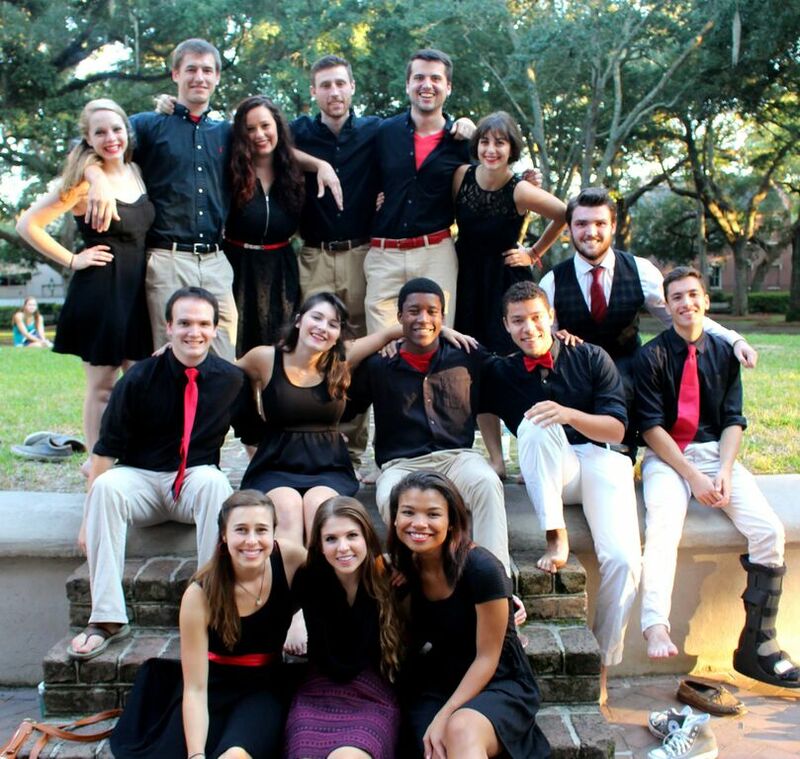 Founded in 1999, Twisted Measure is Elon University’s oldest a cappella group. 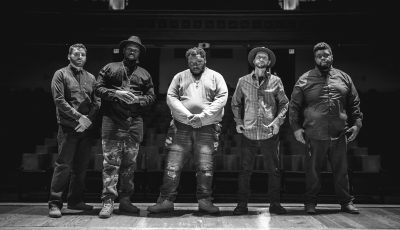 Since its foundation, they have recorded 6 studio albums, enjoyed performing at various events around Elon as well as up and down the East Coast during the group’s annual Fall Break tour. 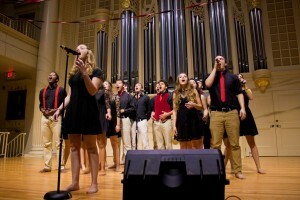 In the past year the group has sung for Elon’s President, Leo M. Lambert, performed the National Anthem at several Elon Basketball games, recorded and released a 6th album “XV” and celebrated their 15th Anniversary with a 2-day concert event. More recently, Twisted Measure have gained a lot more national exposure with their version of Sia’s “Chandelier”. As of today, it’s now been viewed a whopping 4,050,523 times on YouTube!! The video has been featured on Buzzfeed, People Magazine and many other places. Can you tell our readers exactly how Twisted Measure was first formed? Where did the name come from? Twisted Measure was formed, as I’ve been told, by three guys who were involved in musical theater in 1999. 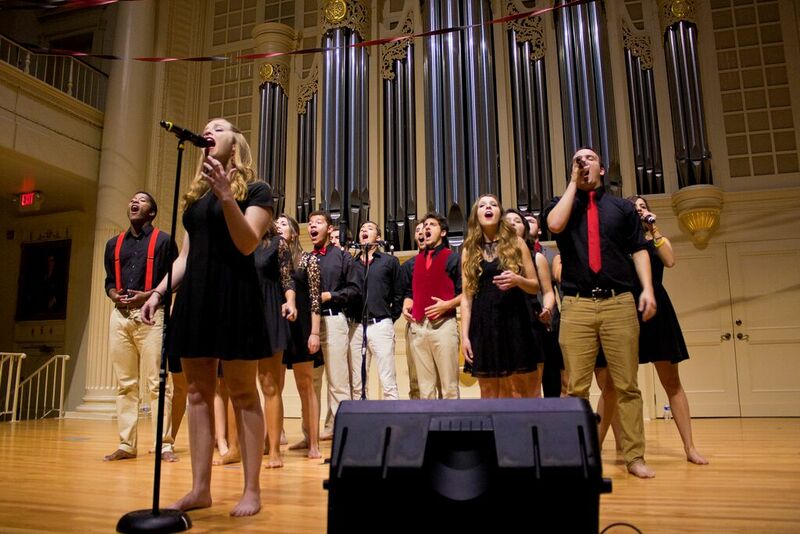 It was the first a cappella group brought to Elon and was a completely different kind of organization than anything formed on campus before. According to them, the name really doesn’t mean anything deep or special, it just sounded cool. Does the group really perform barefoot? Why is that? How did that first get started? We do perform barefoot as much as possible! A few exceptions have been in restaurants (we could get them in trouble for breaking health codes or something) and at outdoor gigs on cold days. There are a lot of different stories about how the tradition got started. Some people like to say that our founders were kind of like hippies, but from what I know, it goes back to being as comfortable as possible while performing. Now we’ve given it the meaning of bringing a little more “sole” to the music. It frees us up to dance and jam as much as possible while we’re performing, which is something we’re pretty well known for. How do you think the group has evolved over the years? As long as I’ve been in the group, it’s held true that while the traditions and feeling of TM as a family is constant, but every version of the group is different. What I mean by that is every year, we see a handful of seniors graduate and a handful of freshman fill their places. Everyone adds something different to the collective personality of the group. Other than that, we’ve definitely changed in our performing style and range. I think every year the group gets better and better, musically, performance-wise, and so on. We try to evolve with the genre as a whole, which is most evident in the increase in publicity and social media, as well as choreography and different performing styles that I’ve seen over the past couple of years. How do you go about selecting what songs to perform? Is there a vote? Every group does it differently, and TM has a pretty unique way of choosing songs. We typically pick two songs every summer and winter to start off the next semester with. These songs are submitted by everyone in the group and the music director(s) will decide on one song to be performed by a girl soloist and one for a guy soloist. We pick four more songs as a group on a day we call Song Selection. Members can submit both songs to be listened to for anyone to solo as well as audition songs for themselves to solo. We do this because we really like to spread the wealth with soloists and feature as many performers as possible. 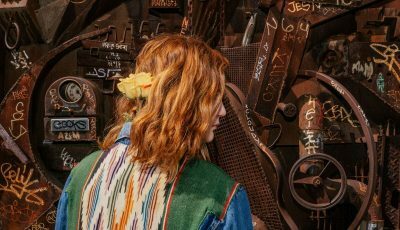 It’s a long, often tedious process, but at the end of the day, we vote on songs based on a number of factors including tempo, soloist, arrangement potential, and audience reaction. You’re a cappella version of Sia’s hit song “Chandelier” is getting a lot of attention these days and was even featured on Buzzfeed! What’s that been like for the group? What was it like recording it? I understand that it was the group’s arrangement. It has been such a ride. I posted the Buzzfeed article as a community user because I was bored and the idea of promoting the video (which had already been out for about a month) popped into my head. It was a completely unintentional thing for the video to go viral, and since then, we’ve gotten some insane attention. We’re all still pinching ourselves, really. Deciding to record “Chandelier” wasn’t really a decision at all. When we started working on the arrangement, which was done by Kyle Whitaker, who graduated as a member of Twisted Measure in the spring of 2014, we knew we had something really special. 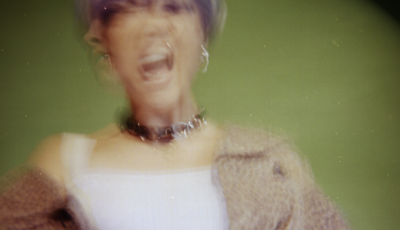 I remember shooting the video in the studio throughout the day (again, something that was done completely on a whim and last minute–no grand plans to release with more than a couple hundred views), and feeling that everyone was so into it. Sometimes we record and we’re just trying to get through a song. But “Chandelier” had something about it that had our music director, as well as studio engineer, ready for something really awesome to come out of it. What do you think of movies like Pitch Perfect? 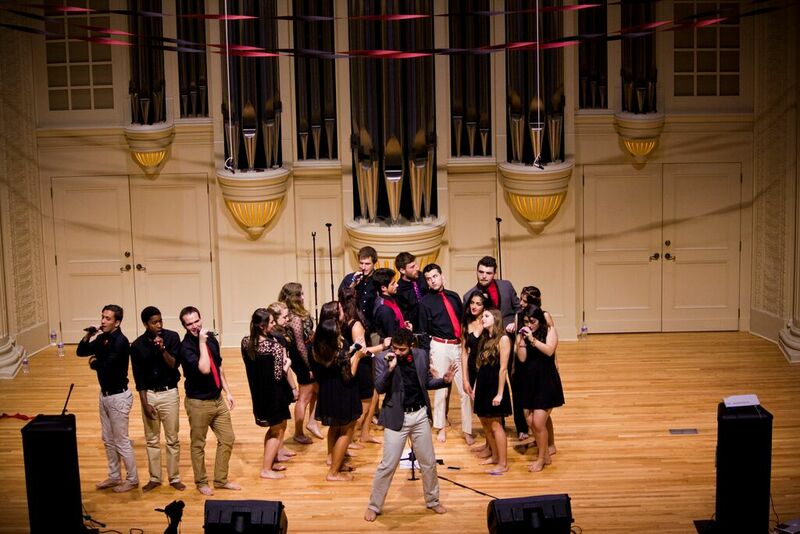 Is that an accurate depiction of a college a cappella experience? What should be changed? I love Pitch Perfect, and I think it does do a pretty good job of depicting college a cappella. When the first movie came out, Elon had four a cappella groups that matched the demographics of the four groups in the actual movie, which I remember really resonated with everyone in the Elon a cappella community. The second movie shows how tight of a family an a cappella group can become. Sometimes we really do sit around campfires, sing, and talk about our feelings. Only sometimes, of course. On the other hand, I think it’s important to note that not all a cappella groups compete in the ICCAs and other competitions. Twisted Measure used to but hasn’t for several years now, and that’s simply because we’re more focused on recording and performing as much as possible. While the groups in Pitch Perfect are known for their individual microphone set up and extensive choreography, that’s actually only a small sub-genre I’d say of collegiate a cappella. What are some well-known a cappella groups that inspire you and the group? What about other artists that inspire the group? Pentatonix goes without saying because they single-handedly made a cappella music mainstream, but it’s important to note that they’re a group of 5 and most collegiate groups are made up of 15-20 people. What they do is very different than what we do on all levels. University of Chicago’s Voices In Your Head has a cover of Rihanna’s “We Found Love” that really inspired us to do something innovative with our music. I’d say there’s a direct link between what they did with that song and what we did with “Chandelier”. We’re also really inspired by the artists that we all like as individuals within the group. We typically wouldn’t put a song in our set if we didn’t like who it was by. A lot of our members are fans of the band Needtobreathe and we’ve covered a number of their songs over the years. Other than that, our inspirations are pretty individualized based on taste in music. What’s been the coolest experience that you have had so far from being in Twisted Measure? The “Chandelier” attention has been absolutely unreal. We’ve been mentioned by celebrities and published in People magazine and all sorts of other crazy things. The only thing that tops that is I think meeting the people that I have within the group. Twisted Measure has provided me with this ever-growing network of best friends that I never would have expected to find. The group brings together such different people that somehow connect on a deeper level that I’ll never understand as anything but weird a cappella magic. I’d say that’s pretty cool, too. How did the group get connected with the a cappella studio, Liquid 5th? Twisted Measure and Liquid 5th have worked together I believe since we released our 2012 album “And the Rest is Twistory” but the studio is partly based 45 minutes from our campus and the owner, who’s become a good friend of ours as well as the other Elon a cappella groups, has a home studio just down the road from us. The company is a big competitor in the realm of recorded a cappella, and I’d say the absolute best studio to work with. They also do our live sound for our concerts and are really good at catering to the sound of each group they work with. Plus they throw an awesome studio party every year and the entire staff is the perfect mix of fun and professional. Do many Twisted Measure alumnae go on to pursue music after they graduate from the school? Some do, definitely. At the same time, TM is made up of people from every major you can think of, so it’s really a case by case thing. I’d say everyone in the group has a passion for music so leaving that passion behind post-grad is pretty difficult. We’ve seen a few awesome alumni bands formed here and there as well as some individual music careers take off. What else would you like to share with our readers about the group? More than anything, we’re so thankful for all the support from friends, family, and fans old and new. It’s been an insane summer and we are so excited to get rolling in the fall with new music and new members. Q&A with DJ LANCE ROCK of Yo Gabba Gabba! Talks: All Star Guests On His Hit Show, BEDROCKtober Fest and Much More!